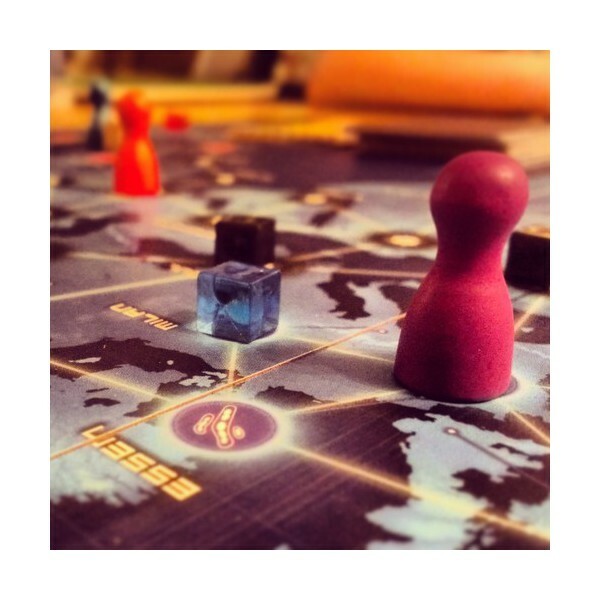 The game board depicts several major population centers on Earth. 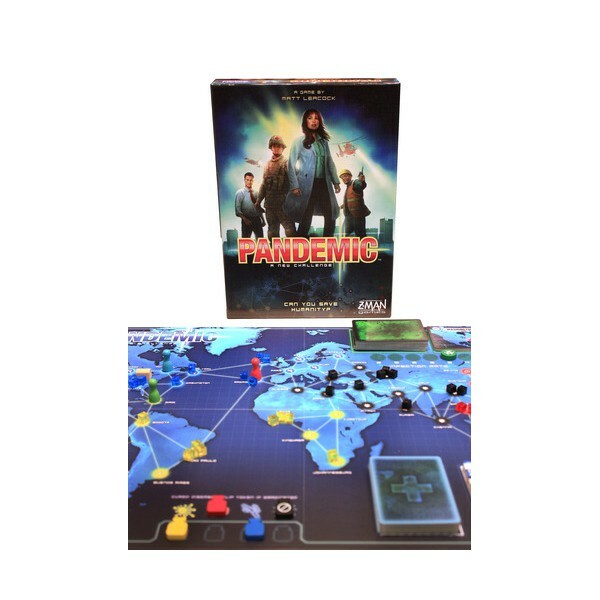 On each turn, a player can use up to four actions to travel between cities, treat infected populaces, discover a cure, or build a research station. A deck of cards provides the players with these abilities, but sprinkled throughout this deck are Epidemic! 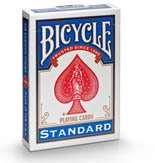 cards that accelerate and intensify the diseases' activity. A second, separate deck of cards controls the "normal" spread of the infections. Taking a unique role within the team, players must plan their strategy to mesh with their specialists' strengths in order to conquer the diseases. 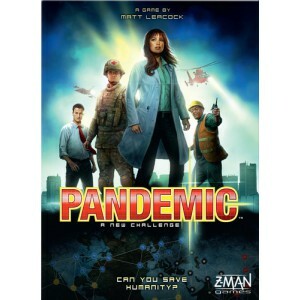 For example, the Operations Expert can build research stations which are needed to find cures for the diseases and which allow for greater mobility between cities; the Scientist needs only four cards of a particular disease to cure it instead of the normal five—but the diseases are spreading quickly and time is running out. If one or more diseases spreads beyond recovery or if too much time elapses, the players all lose. If they cure the four diseases, they all win!